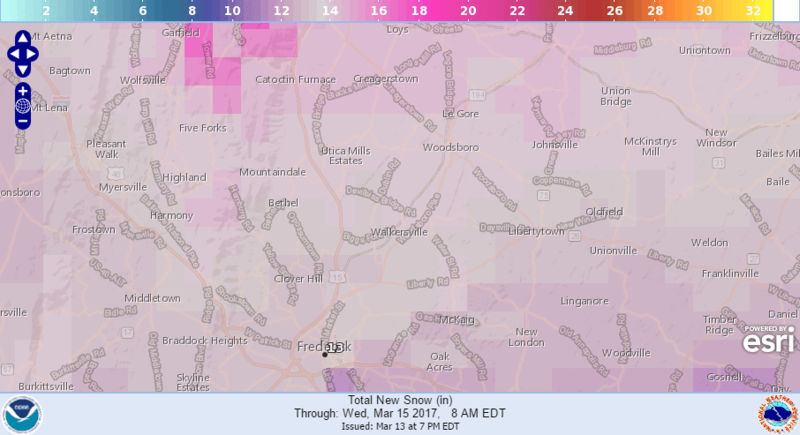 Frederick County MD public schools and offices are closed Tuesday, March 14, 2017 due to the weather. Employees: CODE YELLOW. FCPS Facilities Services central office staff will contact our designated emergency personnel with instructions about when to report to work.